Ten to twenty years of continuous running and a little neglect, detailed in the pictures below, will certainly stop your clock. 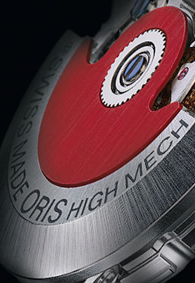 Routine maintenance is essential for your timepiece to function properly. Most clocks that are brought in for an estimate require bushings (to restore worn holes), lathe work (to make the pivots smooth again), and new gears (cut from the appropriate metals) as well as the appropriate cleaning and oiling. We always let you know exactly what the charges will be before we begin work. 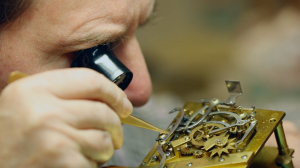 Clock estimates are $25 which allows our clockmakers to determine an appropriate estimate for repairs. If you choose to proceed the recommended service the estimate fee is applied toward the repair. Typically an estimate fee of 50% is required once the estimate is presented to you prior to any service. If the repair is minor, on occasion the clockmakers will rectify the problem without an estimate and you will be contact once the clock has completed its timing phase. In order to deal with the special problems posed by larger members of the clock family, we offer a home visit service. House calls (only provided within 20 miles of the Portland radius) cost $150. With a house call you will receive approximately one hour with the clockmaker who during this time will either provide you with a thorough diagnosis of the issues or may even be able to fix your clock, depending on the issue. Upon completion of the diagnosis you will be given a detailed estimate the the mechanism of your clock will be transported to our workshop. Once the appropriate repairs are completed you will be contacted in order to schedule a return visit to reassemble your timepiece.